The Jewish Museum in Berlin will open a thematic exhibition about golem, and the myth of artificial life, 'from homunculi and cyborgs to robots and androids'. Our exhibition presents the golem from a variety of perspectives, from its inception in a Jewish mystical ritual to its role as a subject of popular storytelling in film and its afterlife in artistic and digital realms. The golem symbolizes each era's dreaded dangers and hopes for redemption. The exhibition uses the golem figure to examine topics like creativity, creation, power, and redemption. A human-made, anthropomorphic creature brought to life from innanimate substance by incantations and Hebrew letter combinations, a golem has been part of Jewish folklore for centuries. Probably the most familiar tale is the one associated with Judah Loew ben Bezalel, the 16th century Prague rabbi who is said to have created a golem as a defender of the Prague ghetto from antisemitic attacks. The exhibition at the Jewish Museum Berlin will feature a rich collection of artefacts associated with this tradition, ranging from medieval manuscripts, to artworks - painting, sculpture, object art, videos, installation, photography, and illustrations - from the last two hundred years. Many of these, from artists such as Anselm Kiefer, Joshua Abarbanel, R.B. Kitaj, Yves Gellie, Mark Podwal, Gert H. Wollheim, and Fritz Ascher have been specifically loaned from world-renowned museums and private collections, including the Jewish Museum in New York, the Boston Museum of Fine Arts, New York’s Museum of Modern Art, and the Israel Museum, Jerusalem. The exhibition will also be accompanied by a guest lecture and film presentation programme. 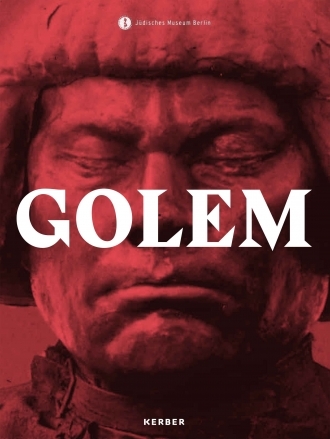 Whether in painting, sculpture, object art, video, installation art, photography, or illustration, the golem is very much alive and, with it, the question of what it means to be human. For more information, visit the Jewish Museum in Berlin homepage.